I think it’s pretty obvious if you’ve read any of BourbonAndVinyl, I’m obsessed with Rod Stewart and Ronnie Wood’s former band, The Faces. 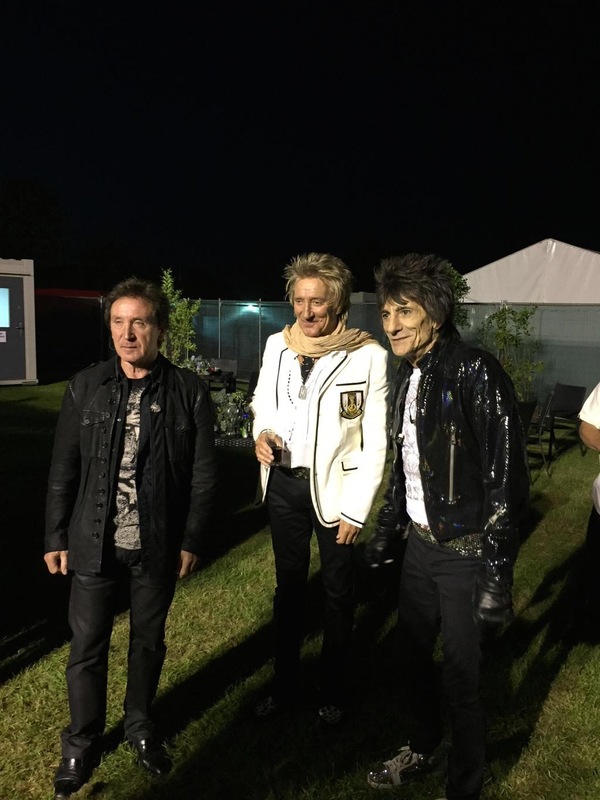 How great was it to see this picture on Rod Stewart’s Twitter account of Rod, Ronnie and drummer Kenny Jones taken after their reunion show for the charity, Prostate.UK. If you look closely, you’ll spot a glass of wine in Rod’s hand… ah, just like the old days. 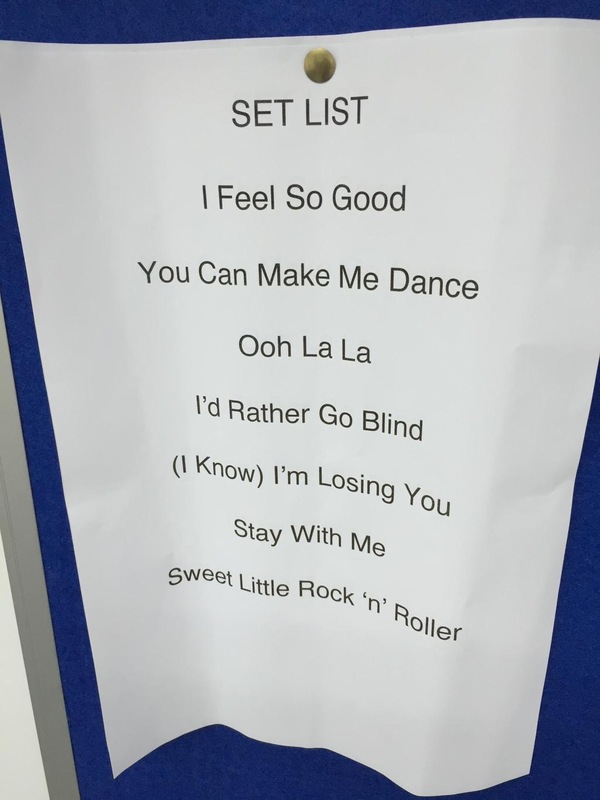 From what I’ve read, it appears that the Faces only rehearsed for a couple of hours before the show. They only played for about 45 minutes in what was a rough and shambolic set. Under-rehearsed, a bit sloppy and Rod has a glass of wine in his hand – so, basically a typical Faces show. 40 years down the road and nothing has changed. I Feel So Good – off of their second album, my favorite, Long Player, I think this song had to sum up the mood of the band. Ooh La La – the title track of the Faces final album, although Rod did cover this on When We Were the New Boys as a tribute to his fallen comrade, Ronnie Lane. This song was written by Ronnie Lane, but on the album sung by Ronnie Wood. I love that Wes Anderson played this song over the credits of his movie “Rushmore”. I’d Rather Go Blind – People forget what a great blues singer Rod is. This song was off his 4th solo LP, Never a Dull Moment, but all the Faces played on it and it was a staple of Faces concerts from way back. Great selection! I Know I’m Losing You – Great Temptations cover with some mammoth drumming from Kenny Jones. Again, a Rod solo track, but the Faces backed him on this track too. Stay With Me – their biggest “hit”, although they were never a hit-single kind of band. This is probably the only Faces tune people broadly know. Sweet Little Rock ‘n’ Roller – a raucous cover of Chuck Berry from Rod’s final solo album on the Mercury label. Again, a live staple of the Faces live sets and some of Ronnie Wood’s best guitar work. I love the selection. An even spread between Rod tunes and Faces tunes. Just like the old days. I don’t know what this holds for future Faces reunions, but I hope it sparks something with these guys. Rod played a show a week or so later at BBC2 Live In Hyde Park and his set list included: “Ooh La La”, “I Know I’m Losing You”, “Gasoline Alley”, “Angel” (his Hendrix cover from Never a Dull Moment), and “Rollin’ and Tumblin'” an old blues cover. There were also some of his, what I consider, weaker tunes, but it does appear the Faces reunion did spark some of that old classic Rod spirit. I love both of the new songs I’ve heard from his upcoming Another Country. Fingers crossed!